Maybe they can give Dews a scholly now or offer one to a well deserving Senior. For some reason, I am noticing that the players leaving Butch's team were bottom-feeders. For Kiffin, that wasn't always the case. Darr was waste of a scholly IMHO thanks to Derek Doofus. Palardy proved early on that he could handle punting duties. And unfortunately Bowles will be another 4 star bust WR that will never sniff the field with the crazy talent we already have here and coming in at WR. Wonderful to see a Vols fan who shares my complete dislike for insulting our players and former players. Especially when done by bottom feeding spitetful fans. An event or mishap here, an event or mishap there. Becomes dreadfully an important commodity. I was never sure whether UT had any that could qualify for a blueshirt. The rules there were a little ambiguous. Seems losing Brown and Thomas opened spots for a couple of guys (Sawyers and Robertson). In any case, if Clark's heart isn't in it anymore, I'm sure the coaches would agree it's best he move on. I wish him well. Wasn't Darr a kiff recruit? Dews is limited by the 25-per-class rule. The back-counting nudged that number up quite a bit (30-whatever), but there is still a ceiling. A qualifying walk-on could get a one-year or one-term scholarship out of it. To my recollection, he was. Wasn't he also supposed to be one of, if not the best punter in the country coming out of high school? Care to share where you got the crystal ball? I still have hope in all of the players...even the ones that haven't made it to the field yet. Greg Clark is about to graduate and is a VFL, just leave it at that please. Oh yes, thank you for giving your all for UT. Let me ask you this. Would you offer a scholarship to this person? 11) Due to his accomplishments on the field in football and track was named as a finalist for Max Preps National Athlete of the year. That was Matt Darr. I would have offered him a scholarship. He has only averaged about 38.5 yds per punt at U.T. Maybe he will get back in the groove. His ball drop looks bad to me , and he doesn't get the nose of the football up. I believe that he has the leg, but his mechanics and confidence need work. He may yet blossom like Palardy did as a senior. As far as Palardy proving early on that he could punt, he averaged 39.3 as a freshman, and 36.8 as a junior. It took him until the 3rd year. Darr hasn't been in that many games yet. Yes I would have offered Darr. People here look for any reason to blame Dooley. The man is no longer here so let it go. 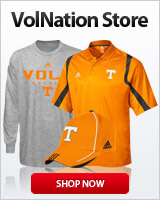 Stop blaming Dooley when one of the football players rips a fart that don`t stink. What happened to Drae Bowles? He had much potential coming in. Darr falls on Kiff I believe. Hard to believe as that is. Didn't a couple of his recruits literally 'weed' themself out of a scholarship? Read post #42. Any coach would and should have offered him. Good luck Mr. Clark, thanks for taking the field in orange. Too bad you didn't have better circumstances surrounding the program in your time..., but nevertheless, VFL. 5th year guy ... limited playing time if any ...really have to have a passion to PLAY the game to put yourself through workouts and practices ... risk reward thing ... whole lot of risk ... not a lot of upside for somebody who has been on the team for previous years and only seeing the field sparingly this year... good luck man.